2.Located in Longview and White Oak. 3.Fully licensed and insured. Bonded. 5.We are licensed and certified by various cities and manufacturers. 6. Provide References on request. Roof Care of Longview Inc. Roof Care Inc. does residential and commercial roofs. The manufacture their own custom sheet metal for all their roof applications. They work and install all types of roof systems including single-ply, built-up, modified asphalt membrane, metal architectural standing seam, traditional metal panel roofing, and related sheet metal work. They have been Roofing Contractors in the Longview Texas area for over 30 years. Whether you need commercial roofing, residential roofing, remodeling or construction, call today to set up your FREE estimate on installation or repairs! 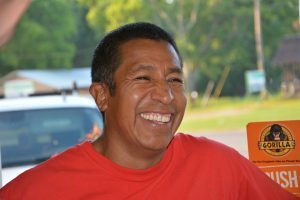 Cruz Mendez is the founder and owner of Advanced Roofing Services. He emigrated from Mexico when he was 21 years old. He and is family started working with a roofing company. After several years he became an independent roofing contractor. In 1992 he started Advanced Roofing Services. With only $300 and a truck, they went to work. Twenty years later Cruz has over 40 people employed. Advanced Roofing Services specializes in industrial and commercial roofs. A roofing contractor that can be relied on. Motley’s Roofing & Sheet Metal was founded in September of 1947 by V.C. Motley. They have been in the roofing business since 1947. They specialize in flat roofs and metal roofs. They service all of East Texas including Longview, Kilgore, Hallsville, Big Sandy and Tyler. Motley’s Roofing is a trusted Roofing Contractor that does high-quality roofing.